Still haunted by the legend of a vampire count and the legacy of a communist dictator, Romania is complex — with an epic history, a multifaceted ethnic mix, and an unusually rich cultural heritage. It may not be the easiest place to travel, but for adventurous souls, it's exceptionally rewarding. If you go, start in Romania's capital, Bucharest. With about two million people, it's a muscular and gritty tangle of buildings. It can be hard to like at first glance, but with a thoughtful look, it reveals its charms. Between the dreary apartment blocks hides an impressive architectural heritage. The foundation of this jumble dates from the late 19th century, just after Romania became a unified country for the first time. After a building spree, it was called "Little Paris of the East." Later it was brutally disfigured by the communist dictator Nicolae Ceaușescu, who left behind a starkly Socialist-style residential zone and the city's main landmark — the Palace of the Parliament. 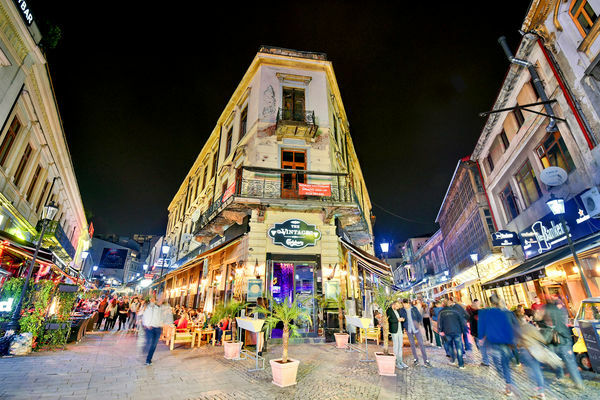 In recent years, they've rejuvenated the once-derelict Old Town — transforming it into one of the liveliest nightlife zones in eastern Europe. Taken together, Bucharest is a fascinating place to grapple with for a day or two. For a glimpse at Bucharest's genteel past, go for a stroll along Victory Avenue (Calea Victoriei) — with grand belle époque architecture that has recently been scrubbed of its communist-era grime. Pause by the horseback statue of King Carol I, across the street from the Royal Palace. Under King Carol, Bucharest blossomed. He imported French architects to give Bucharest the romantic allure visitors still enjoy along this avenue. Life changed in the 20th century. From communist times through the early 2000s, Bucharest's Old Town was deserted, dilapidated, and dangerous. But now it's being systematically rejuvenated. Grand, glittering buildings (including several bank headquarters) have been scrubbed and polished. Formerly abandoned shopping galleries are newly inviting. Historical monuments — like the delightful Hanul lui Manuc, an early-19th-century inn — have been painstakingly restored. And an al fresco dining and drinking scene enlivens the traffic-free streets. The lanes of the Old Town are a revelation after dark (especially on weekends), when the entire neighborhood feels like one big, sprawling cocktail party. Thriving as it is today, Bucharest's Old Town was lucky to survive the communist period. In the early 1980s, after an "inspiring" visit to North Korea, Ceaușescu ripped out 80 percent of the historical center — 30,000 houses, schools, and churches — to create the Civic Center district, with wide boulevards, stone-faced apartment blocks, gurgling fountains, and a Pyongyang aesthetic. (Urban planners managed to save a few churches by secretly relocating them inside city blocks, where you can still find them today.) This area, just across the neglected little Dâmbovița River from the Old Town, is worth a stroll to better understand the scale of Ceaușescu's ambition...and his ego. In the core of the Civic Center, rows of fountains lead from Unity Square to the massive Palace of the Parliament — the largest building in Europe (nearly four million square feet, with more than a thousand rooms). Ceaușescu built this monstrosity as a symbol of his power. Today it houses the Romanian Parliament, three skippable museums, and an international conference center — and is still about 70 percent vacant space. Ceaușescu, throwing resources at his pet project like a crazed pharaoh, literally starved his people to build his dream. It finally opened in 1994 — five years after Ceaușescu was executed in a bloody revolt. 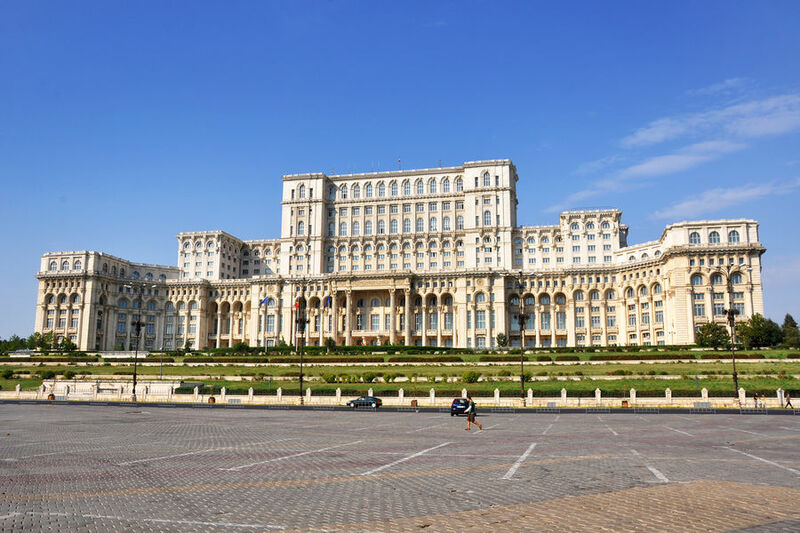 The Romanian people, whose food had been rationed for years to help pay for the palace, were both wonderstruck and repulsed by this huge and opulent edifice. Traveling through countries that spent 45 years in what locals here call "the Soviet Club," it’s fascinating to see how a dogma that preached "equality for all" bred megalomaniacs who pursued the "cult of personality." They built gigantic monuments that took bread out of the mouths of the workers who their ideology was supposed to serve. While Bucharest has plenty of fine museums, on a short visit I find it more interesting to simply explore Old Town and tour the parliament. But to dig deeper into the story of Romania, visit the National Museum of Romanian History (right in the Old Town) and the National Museum of the Romanian Peasant (folk-life artifacts near Victory Square). Today, Ceaușescu feels like ancient history, and Romania is proud to be part of the European Union. Joining local families on a Saturday morning in a Bucharest park, you can't help but feel optimistic. While Romania's challenges are significant, it's clear the country is moving in the right direction. 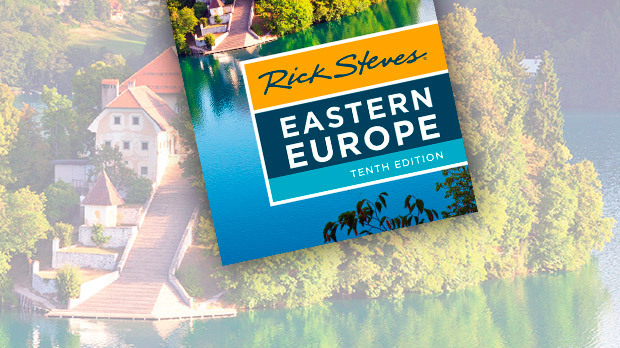 Love it or hate it (or both at once), Romania presents a powerful and memorable travel experience.